Watch your favourite video songs and movies in video player. It supports MP4, DivX, XviD, WMV, H.264 file types. The kind of adulation Samsung Galaxy S7 Edge is receiving post its MWC 2016 debut is evidence enough that the South-Korean giant has a winner at hands. Many in the tech community are resonating the same sentiment of this being the best Android phone Samsung has made till date. Samsung Galaxy S7 Edge buy online price should be around 61,000 INR. The Samsung Galaxy S7 Edge adds a curve to the back glass plate (first introduced by Note 5) that makes it very ergonomic to handle in day to day usage. Another design highlight is how compact Samsung has engineered this to be. It feels a lot more manageable than other 5.5-inch display phones out there. The phone is also water and dust resistant. The display is again one of the best AMOLED panels with QHD resolution and the dual curved edges have more purpose thanks to the Edge UX which adds more functionality to these curved edges. An always on feature is also present which allows you to check notifications and updates at a glance. The UI is based on Android 6.0 Marshmallow and follows the same minimal-bloatware philosophy as the last gen interface. In India, you will be treated to Exynos 8890 octa-core chip powered edge models, while the Snapdragon 820 variant is reserved for US and a few other markets. The Exynos chip is aided by ample 4GB RAM and you get to choose between 32GB, 64GB and 128GB variants. A microSD card slot is present but you can't use the adaptable storage feature of Marshmallow. For photography, Samsung provides a 12MP primary sensor with wide F1.7 aperture lens, OIS, dual pixel tech for quick AF. The new camera will significantly improve low light photography. A 5MP selfie camera is also present on the front. The S7 edge shines with the same drawing factor that its predecessor managed to muster up. It’s a worthy successor in almost every facet, as Samsung has managed to address most of the shortcomings of the old model – while also reintroducing expandable storage and a water resistant construction. When we look at the total package, the incentives brought on by the S7 edge all make sense, despite the costly investment that’s needed in buying it. 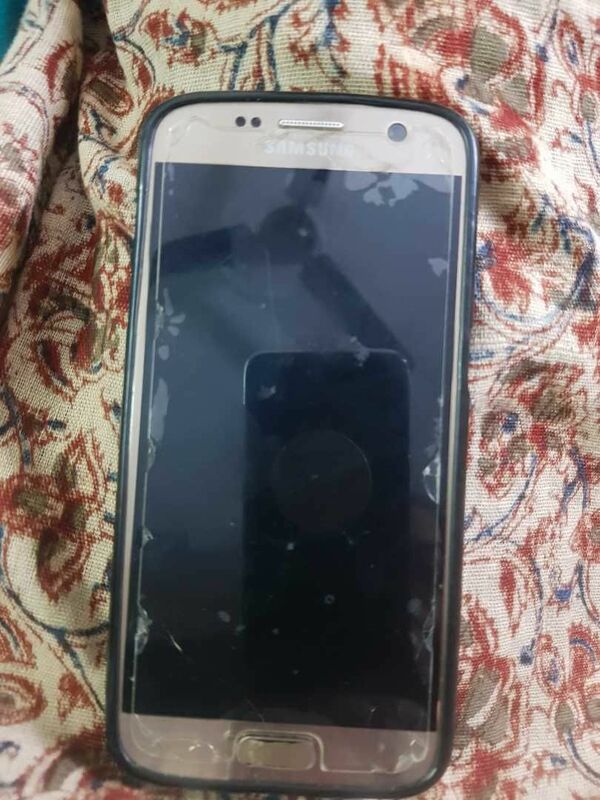 I am using Samsung S7 since last 2 years and it is working perfectly fine and I am very much satisfied with this. With the Galaxy S7, you don’t have to worry about getting your phone out when it’s raining. It is superb phone which ticks all boxes. A sight to behold, the design carefully refines the S6 edge, with slimmer bezels and subtle curves on the back. Grip is questionable and the screen sometimes registers your palm rather than your fingertips but one-off looks and the amazing feel in hand more than compensate for that. Water and dust protection will give you peace of mind in adverse environmental conditions. The AMOLED display looks pleasing in default mode, near-perfect color accuracy can be achieved with a flick of a switch. Sunlight legibility is great, and maximum brightness has been further improved compared to the S6 edge. The Always On feature is useful though it does inevitably take a toll on battery life. There's no wired video out or FM radio and the IR emitter is gone too, but the microSD slot is back, thankfully. Battery life is flagship-worthy at 98 hours between charges - a good 18 hours more than the Galaxy S7. The Always On display lowers this rating down to 67 hours, still an acceptable result. If you want to use the Edge feeds on the lockscreen, the endurance will go further down to 60 hours. The Galaxy S7 edge comes with little on top of the Google app suite - there are a few signature apps like S Planner and S Health and Samsung's custom multimedia software, but other than that, there's little in the way of bloatware. Microsoft's mobile app package is on board too. The Always-On lockscreen makes some of the exclusive edge features redundant. The edge shortcuts are useful at times but you can safely do without them. Standard-setting benchmark results, both the CPU and the GPU pack plenty of power and are chart-toppers, future-proofing is guaranteed. Loudspeaker scores "Good" on loudness, and its sound quality is among the better ones with deep sound. Clean audio output with external amp, only minor quality drop with headphones (though more than the Galaxy S7), above average volume. The all-new 12MP still camera is capable of near-instant focusing thanks to its dual-pixel technology. Images are detailed, dynamic range and colors are good, and while in terms of image quality, the camera is comparable to that of the S6, the entire package is a downright upgrade. The selfie camera is great with skin tones, but has a tendency of clipping the highlights. It's also about time Samsung upped the resolution of its flagship front snappers. 4K videos are packed with detail, however camcorder struggles to hold on to focus at 1080p/60fps. such a very nice phone .